Uh oh! 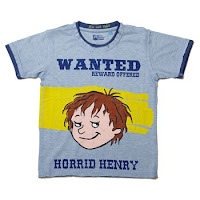 Horrid Henry’s in trouble judging by this 'Wanted' t-shirt! 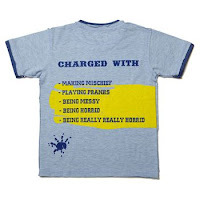 Made from top quality light blue cotton marl that’s prewashed for extra softness, it features the trademark yellow and blue stripes and the outlaw’s smug face printed bang slap in the centre. 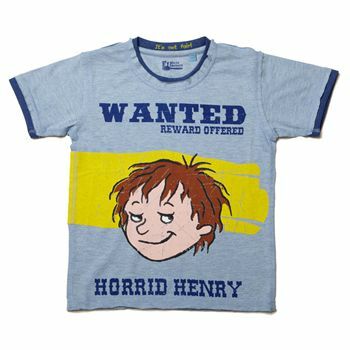 In an old Western style, "Wanted - reward offered, Horrid Henry" is printed on the front. 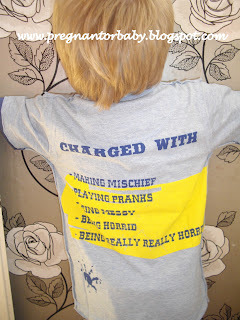 On the back, Henry’s crimes have been listed which include: "making mischief" and "playing pranks". His typical answer "It’s not fair!" is written on the inside of the collar. The sleeves and neck are cut to reveal the dark blue rib. 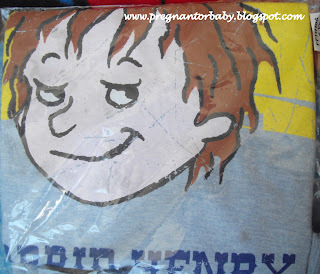 Distressed printing, reverse seaming and the unfinished hem create a bad boy look. 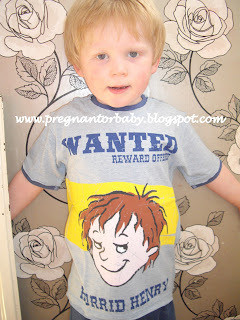 This being my favourite isn't that just soooo cutee!!!!! 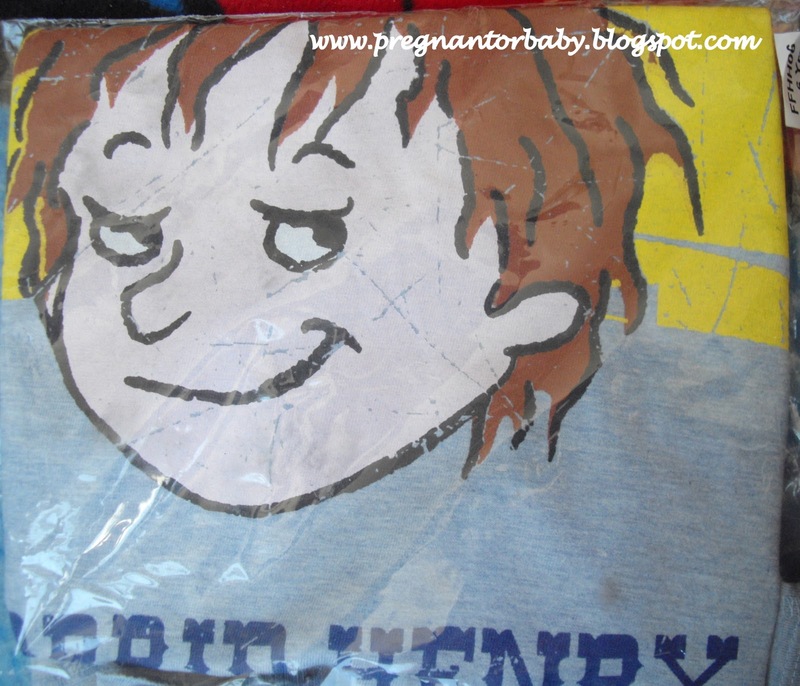 This certainly is a very good top for a horrid henry follower, or just in general for a fun top for a little boy :) I chose the 5-6 as my son is quite a big boy. 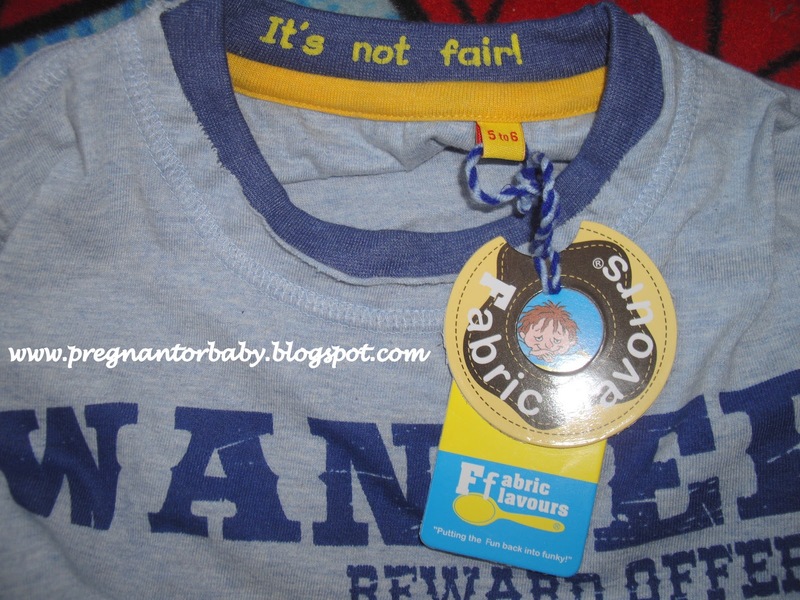 The Detail in the top is fabulous in my eyes, even to where it says It's not fair inside the T-shirt! 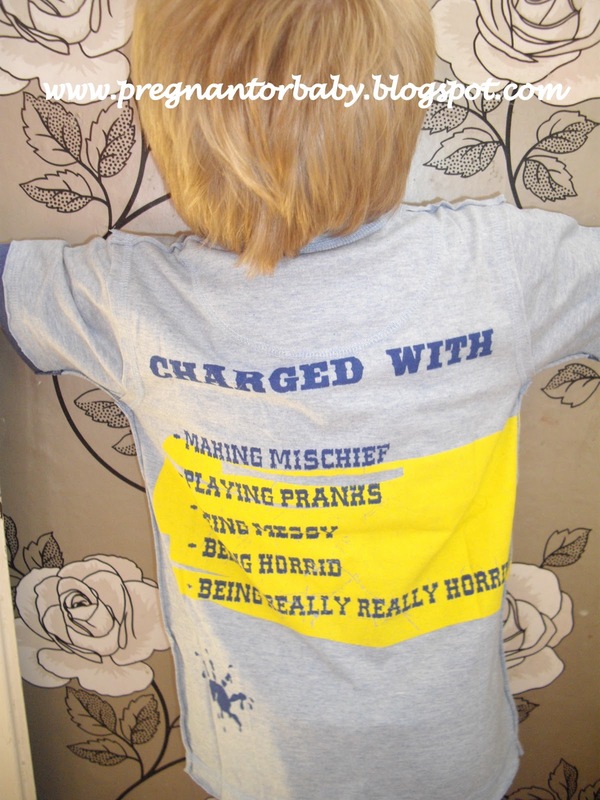 I would recommend Fabric Flavours as a fun and exciting present for children as well as a great clothing range for fun loving parents, and a novel way for children to admire their favourite character.